Canadian entrepreneur and philanthropist Peter Munk, who founded Barrick Gold and built it into the world's biggest gold miner, has died at the age of 90. 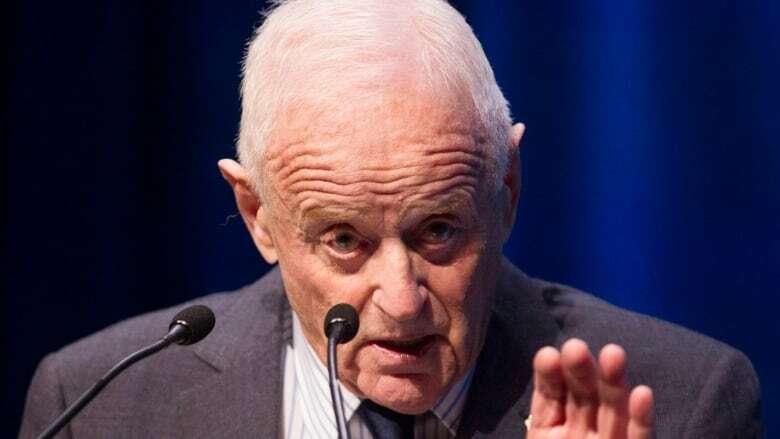 Canadian entrepreneur and philanthropist Peter Munk, who founded Barrick Gold and built it into the world's biggest gold-mining company, has died at the age of 90. "Munk passed away peacefully in Toronto today, surrounded by his family," Barrick said in a release. In 2006, Barrick officially became the world's largest gold miner after a $10 billion acquisition of rival Placer Dome. Munk differentiated himself from other mining companies by coming to the industry with a financial perspective, not the geological or engineering backgrounds from which many companies in the industry view the world. A good deal of credit for Barrick's successes over the years has come from its gold hedging strategy, which in retrospect made the company better able to withstand the ups and down of fickle gold prices by ensuring a continuous flow of revenue even in lean years. In later years, as the stock sagged, the company raised the ire of its own investors, who took issue with some of the company's executive compensation pacakges. As the company grew, it also faced criticism from opponents who said Barrick's mines around the world had shoddy labour and environmental standards. "Someone has got to create and generate wealth," Munk said at his last annual general meeting in 2014. "I count Barrick's biggest achievement in Canada… the fact that we've been able to successfully employ young Canadians, young people globally, and provide them with opportunities." Former CBC business reporter and author Fred Langan, who followed Munk's career, recalled meeting him at a news conference at the Royal York hotel in Toronto years ago, when Munk said running a gold mine was a boring business. "You take stuff out of the ground, grind it up and put a little something in there and all of a sudden you have gold. You have to do deals, you sometimes are operating in countries that might have an iffy political situation and then you as the gold miner might get accused of doing something environmentally unfriendly," Langan described Munk as saying. "He said it was boring. He preferred real estate." Dr. Barry Rubin, medical director at the centre that bears Munk's name, said the philanthropist was frequently stopped on the street by people who wanted to thank him for his role in saving their loved ones' lives through the ground-breaking medical research he funded. "I will miss his wisdom, guidance, charm and wit, and the way in which he treated everyone he met with dignity and respect," Rubin said. He also funded the Munk School of Global Affairs at the University of Toronto with $51 million over the years, something the school's former director Stephen Toope says was born of Munk's belief that Canadians embodied values like openness and integrity, two things the world needed more of. "The creation of the Munk School of Global Affairs was Peter's effort to take those Canadian values, and to help train generations of leaders to promote them on the world stage," Toope said. "He was extremely generous. He was a very open, likable person. I'm sure in business he was a tough guy — you don't make billions of dollars without stepping on many feet," Langan said. "But one on one, he was a charmer and that's how he got ahead in life and that's how most people will remember him."